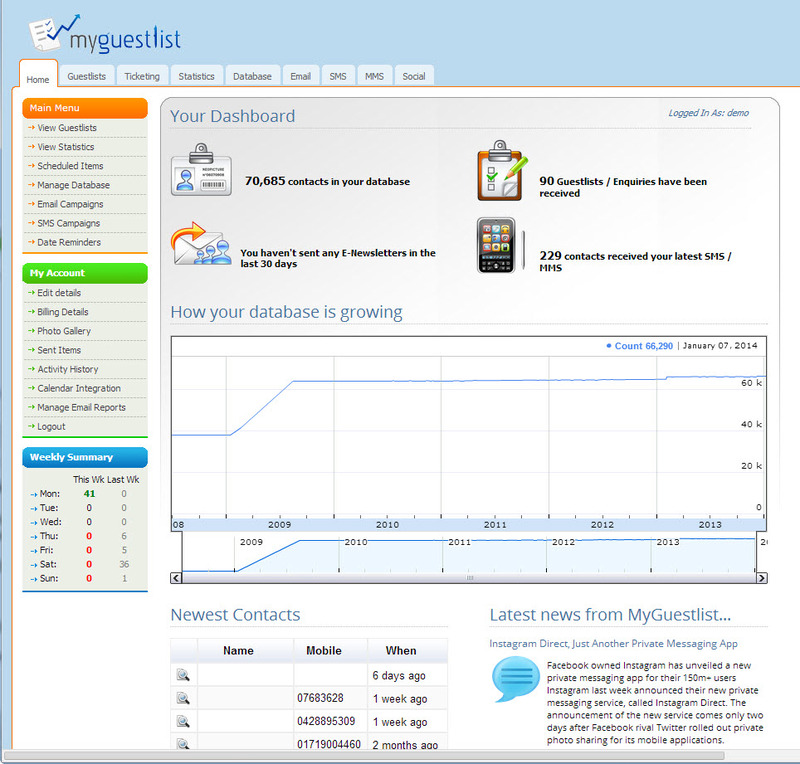 MyGuestlist is an all-in-one marketing software tool for both marketing and operations in the Entertainment & Hospitality industry. 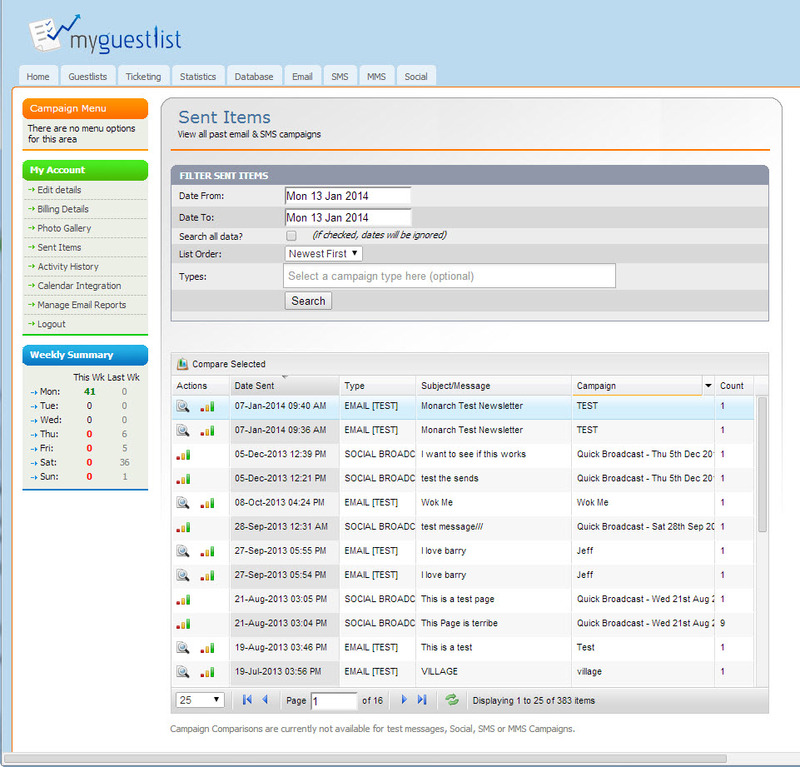 The online tool is specifically designed for Nightclubs, Bars, Promoters, Restaurants, Pubs & Event Organizers and manages your guestlists and events, even from a tablet, allows you to grow your database in over 10 different ways.MyGuestlist marketing software sends targeted E-Newsletters & SMS as well as links in to Facebook and other major Social Networks to see upcoming birthdays of friends-of-friends and target them based on age, gender and date of birth for example. The MyGuestlist Headquarters is located in Melbourne Australia, but there are multiple offices in cities around the world. the MyGuestlist team is focused on continuing to develop new and emerging tech trends to make MyGuestlist a popular tool for the industry. Are you looking for an MyGuestlist alternative for your email marketing? We listed some MyGuestlist alternatives. Send E-newsletters, Easy-to-use, integrated with your social media profiles, advanced filtering and scheduling around birthdays, milestone membership dates,etc. With tracking of patron attendance, promoter performance and iPad/iPhone apps for check-ins, make MyGuestlist an advanced guestlist tool. Multiple profile/page posting, scheduling of posts, monitoring keywords and tracking upcoming birthdays of friends-of-friends. 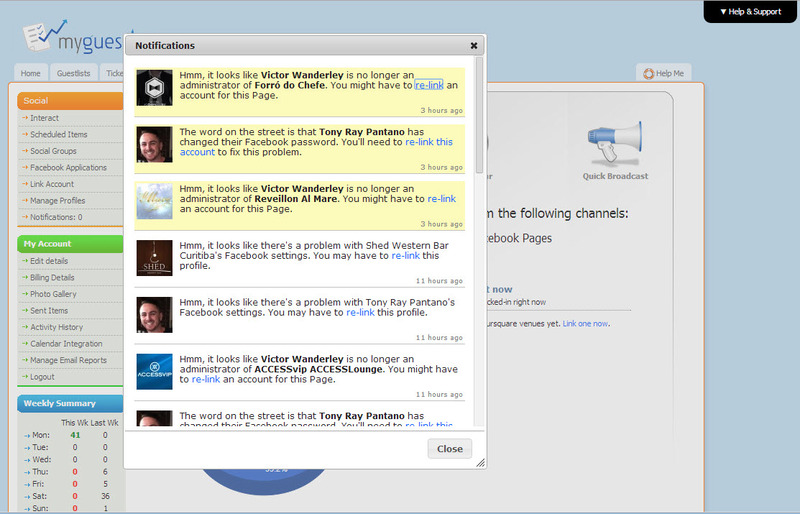 Set up viral competitions and create ambassadors from your existing database members and Facebook Fans. Grow your customer database and create new, repeat customers from this growth. A Guestlist app. A ticket scanner app. Your own customised venue app. Mobile has a big part to play in the Entertainment & Hospitality scene and MyGuestlist offers to create and integrate your mobile app with your database, website and Facebook Page. Table/Bottle service reservations. Selling your birthday or event packages online. Integrating with your Point of Sale, bookings or other 3rd party companies to have one central hub for all your data.